The Giant Trinity has a great record in triathlon racing with numerous Ironman titles across age group and professional ranks. I've always enjoyed riding the Trinity, it was light and fast and I had some great performances, but more importantly it was a fun bike to ride. The Trinity has been in line for an update and believe me, you won't be disappointed with the new model. 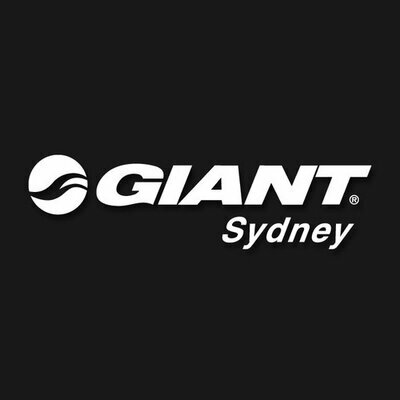 My new Giant Trinity from Giant Sydney was expertly set up based upon my previous measurements. Danny in the workshop at Giant Sydney did a great job adding my bars, power meter and wheels to the new one and getting the bike ready for my first race of 2016. The modifications made on the new Trinity model not only put this bike at the top of the competitive triathlon game as far as aerodynamics go, but the modifications that Giant made to the versatility of the bike makes it a real winner! My Advanced Trinity Pro 0 comes with full Dura ace Di2 Groupset and integrated storage. It is the top spec of the 4 models offered. 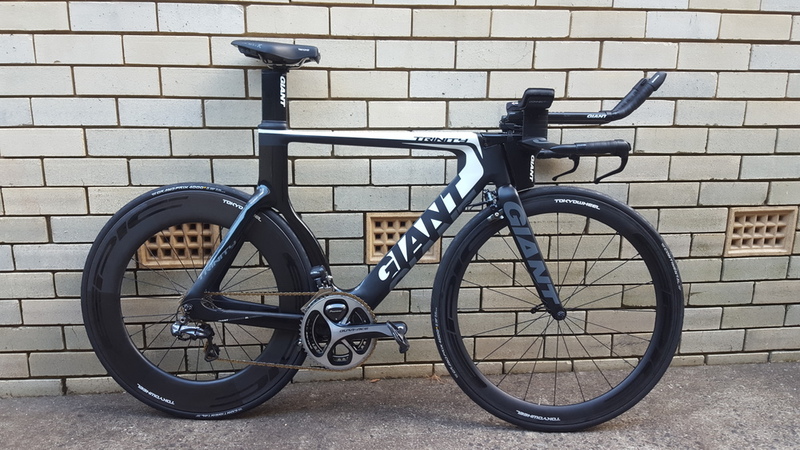 Giant decided to offer the Trinity range with training wheels to bring down the cost to users, and most triathletes seem to have their own race wheels. New frame/fork design - the new frame shape and fork design add superior aerodynamic performance (wind tunnel tested) along with more accessibility for a range of wheel options and power meters. Integrated Storage - aerovault drink system between the aerobars, aero bottle on the down tube, top tube storage and rear mounts for saddle storage. Aero brakes - the Trinity uses Giant designed speedcontrol brakes mounted and hidden behind the front forks (like the Propel) and the bottom mounted rear brake is covered by a speed fin saving precious watts. Adjustable front end - one of the best additions to this Trinity is the ability to adjust the base bar and pads. The new base bar has risen from the previous model for a more comfortable ride from the hoods. This bar is also reversible for added height if necessary. The arm pads are also adjustable in width and length for a better and more comfortable fit. Functional design - a huge benefit of the new design is how easy it is to access and adjust the mechanics of the bike. All wires run behind and are hidden by the stem/nose. This not only keeps it neat and easy to access, but it allows a full range of front end movement from the stem without getting restricted by brakes or cables. 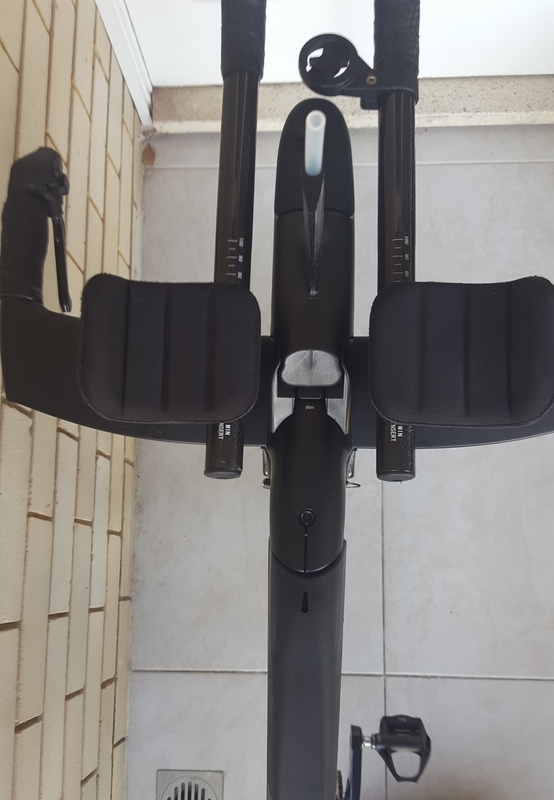 Choice of race set ups - Due to the range of storage added to the new Trinity, users have choice of how they wish to set up their bike for races. The ability to remove the aero vault system out, or switch the down tube bottle for a normal cage gives options for various set ups for different racing environment or preferences (i adopt a different system for training and racing). How has this bike worked for me? Ultimately the new Trinity has been designed after a LOT of work with Giants top triathletes and has the flexibility for a range of users. In my case I can now ride my dual side power meter without clearance issues from the frame. Due to the adaptability of the front end I've changed the arm pad position and lowered the front end. I can also run a range of setups for various distance racing and training with ease.